Azure Migrate has a limit of 1500 machines per project, this article describes how to assess large numbers of on-premises virtual machines (VMs) by using Azure Migrate. We have a preview release available that allows discovery of up to 10,000 VMware VMs in a single project using a single appliance, if you are interested in trying it out, please sign up here. VMware: The VMs that you plan to migrate must be managed by vCenter Server version 5.5, 6.0, 6.5 or 6.7. Additionally, you need one ESXi host running version 5.5 or later to deploy the collector VM. vCenter account: You need a read-only account to access vCenter Server. Azure Migrate uses this account to discover the on-premises VMs. Permissions: In vCenter Server, you need permissions to create a VM by importing a file in OVA format. Statistics settings: This requirement is only applicable to the one-time discovery model which is deprecated now. For one-time discovery model, the statistics settings for vCenter Server should be set to level 3 before you start deployment. The statistics level is to be set to 3 for each of the day, week, and month collection intervals. If the level is lower than 3 for any of the three collection intervals, the assessment will work, but the performance data for storage and network won't be collected. The size recommendations will then be based on performance data for CPU and memory, and configuration data for disk and network adapters. Details: User assigned at datacenter level, and has access to all the objects in the datacenter. To restrict access, assign the No access role with the Propagate to child object, to the child objects (vSphere hosts, datastores, VMs, and networks). Create a user per tenant and assign read-only permissions to all the VMs belonging to a particular tenant. Grant this user read-only access to all the parent objects where the VMs are hosted. All parent objects - host, folder of hosts, cluster, folder of clusters - in the hierarchy up to the data center are to be included. You do not need to propagate the permissions to all child objects. Use the credentials for discovery selecting datacenter as Collection Scope. The RBAC set up ensures that the corresponding vCenter user will have access to only tenant-specific VMs. Based on the number of VMs you are planning to discover, you can create multiple projects and deploy multiple appliances in your environment. An appliance can be connected to a single vCenter Server and a single project (unless you stop the discovery and start afresh). In case of one-time discovery (deprecated now), the discovery works in a fire and forget model, once a discovery is done, you can use the same collector to collect data from a different vCenter Server or send it to a different migration project. The one-time discovery appliance is now deprecated as this method relied on vCenter Server's statistics settings for performance data point availability and collected average performance counters which resulted in under-sizing of VMs for migration to Azure. It is recommended to move to the one-time discovery appliance. When you do a discovery by using the Azure Migrate collector, you can set the discovery scope to a vCenter Server folder, datacenter, cluster, or host. To do more than one discovery from the same vCenter Server, verify in vCenter Server that the VMs you want to discover are in folders, datacenters, clusters, or hosts that support the limitation of 1,500 machines. We recommend that for assessment purposes, you keep machines with interdependencies within the same project and assessment. 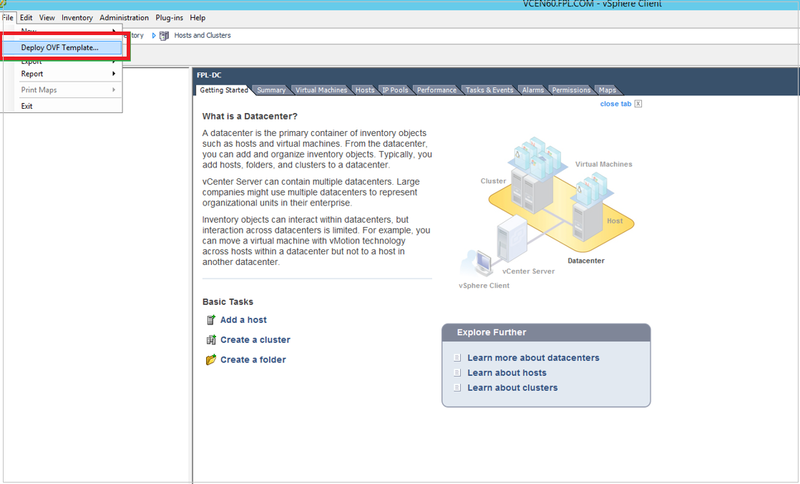 In vCenter Server, make sure that dependent machines are in the same folder, datacenter, or cluster for the assessment. Continuous discovery: In case of continuous discovery, one appliance can be connected to only a single project. So you need to deploy one appliance for each of your vCenter Servers and then create one project for each appliance and trigger discoveries accordingly. One-time discovery (deprecated now): You can use a single collector and a single migration project to discover all the virtual machines across all vCenter Servers. Since the one-time discovery collector discovers one vCenter Server at a time, you can run the same collector against all the vCenter Servers, one after another, and point the collector to the same migration project. Once all the discoveries are complete, you can then create assessments for the machines. If you have multiple vCenter Servers with less than 1500 virtual machines per vCenter Server, but more than 1500 VMs across all vCenter Servers, you need to create multiple migration projects (one migration project can hold only 1500 VMs). You can achieve this by creating a migration project per vCenter Server and splitting the discoveries. Continuous discovery: You need to create multiple collector appliances (one for each vCenter Server) and connect each appliance to a project and trigger discovery accordingly. One-time discovery (deprecated now): You can use a single collector to discover each vCenter Server (one after another). If you want the discoveries to start at the same time, you can also deploy multiple appliances and run the discoveries in parallel. If you have more than 1500 virtual machines in a single vCenter Server, you need to split the discovery into multiple migration projects. To split discoveries, you can leverage the Scope field in the appliance and specify the host, cluster, folder of hosts, folder of clusters or datacenter that you want to discover. For example, if you have two folders in vCenter Server, one with 1000 VMs (Folder1) and other with 800 VMs (Folder2), you can use the scope field to split the discoveries between these folders. Continuous discovery: In this case, you need to create two collector appliances, for the first collector, specify the scope as Folder1 and connect it to the first migration project. You can in parallel start the discovery of Folder2 using the second collector appliance and connect it to the second migration project. One-time discovery (deprecated now): You can use the same collector to trigger both the discoveries. In the first discovery, you can specify Folder1 as the scope and point it to the first migration project, once the first discovery is complete, you can use the same collector, change its scope to Folder2 and migration project details to the second migration project and do the second discovery. If you have an environment that is shared across tenants and you do not want to discover the VMs of one tenant in another tenant's subscription, you can use the Scope field in the collector appliance to scope the discovery. If the tenants are sharing hosts, create a credential that has read-only access to only the VMs belonging to the specific tenant and then use this credential in the collector appliance and specify the Scope as the host to do the discovery. Search for Azure Migrate, and select the service Azure Migrate in the search results. Then select Create. Specify a project name and the Azure subscription for the project. Specify the location in which you want to create the project, and then select Create. Note that you can still assess your VMs for a different target location. The location specified for the project is used to store the metadata gathered from on-premises VMs. Azure Migrate creates an on-premises VM known as the collector appliance. This VM discovers on-premises VMware VMs, and it sends metadata about them to the Azure Migrate service. To set up the collector appliance, you download an OVA file and import it to the on-premises vCenter Server instance. If you have multiple projects, you need to download the collector appliance only once to vCenter Server. After you download and set up the appliance, you run it for each project, and you specify the unique project ID and key. In the Azure Migrate project, click Getting Started > Discover & Assess > Discover Machines. In Discover machines, click Download to download the appliance. The Azure Migrate appliance communicates with vCenter Server and continuously profiles the on-premises environment to gather real-time utilization data for each VM. It collects peak counters for each metric (CPU utilization, memory utilization etc.). This model does not depend on the statistics settings of vCenter Server for performance data collection. You can stop the continuous profiling anytime from the appliance. Instant gratification: With the continuous discovery appliance, once the discovery is complete (takes couple of hours depending on the number of VMs), you can immediately create assessments. Since the performance data collection starts when you kick off discovery, if you are looking for instant gratification, you should select the sizing criterion in the assessment as as on-premises. For performance-based assessments, it is advised to wait for at least a day after kicking off discovery to get reliable size recommendations. In Copy project credentials, copy the ID and key for the project. You need these when you configure the collector. On the machine to which you downloaded the file, open an administrator command window. Make sure that the generated hash matches the following settings. In the vSphere Client console, select File > Deploy OVF Template. In the Deploy OVF Template Wizard > Source, specify the location of the OVA file. In Name and Location, specify a friendly name for the collector VM, and the inventory object in which the VM will be hosted. In Host/Cluster, specify the host or cluster on which the collector VM will run. In storage, specify the storage destination for the collector VM. In Network Mapping, specify the network to which the collector VM will connect. The network needs internet connectivity to send metadata to Azure. Review and confirm the settings, and then select Finish. If you have multiple projects, be sure to identify the ID and key for each one. You need the key when you run the collector to discover the VMs. In the project, select Getting Started > Discover & Assess > Discover Machines. In Copy project credentials, copy the ID and key for the project. For each discovery that you need to perform, you run the collector to discover VMs in the required scope. Run the discoveries one after the other. Concurrent discoveries aren't supported, and each discovery must have a different scope. In the vSphere Client console, right-click the VM > Open Console. On the desktop, select the Run collector shortcut. a. Accept the license terms, and read the third-party information. The collector checks that the VM has internet access. b. If the VM accesses the internet via a proxy, select Proxy settings, and specify the proxy address and listening port. Specify credentials if the proxy needs authentication. The collector checks that the collector service is running. The service is installed by default on the collector VM. c. Download and install VMware PowerCLI. Specify the name (FQDN) or IP address of vCenter Server. In User name and Password, specify the read-only account credentials that the collector will use to discover VMs in vCenter Server. In Select scope, select a scope for VM discovery. The collector can discover only VMs within the specified scope. Scope can be set to a specific folder, datacenter, or cluster. It shouldn't contain more than 1,000 VMs. In Specify migration project, specify the ID and key for the project. If you didn't copy them, open the Azure portal from the collector VM. On the project's Overview page, select Discover Machines and copy the values. In View collection progress, monitor the discovery process and check that metadata collected from the VMs is in scope. The collector provides an approximate discovery time. The collector will continuously profile the on-premises environment and will keep sending the performance data at an hour interval. You can review the machines in the portal after an hour of kicking off the discovery. It is strongly recommended to wait for at least a day before creating any performance-based assessments for the VMs. Check that the VMs you want to discover appear in the portal. The collector appliance discovers the following configuration data about the selected virtual machines. And performance counters of the VM, disk and network as listed in the table below. The collector appliance collects the following performance counters for each VM from the ESXi host at an interval of 20 seconds. These counters are vCenter counters and although the terminology says average, the 20-second samples are real time counters. The appliance then rolls-up the 20-second samples to create a single data point for every 15 minutes by selecting the peak value from the 20-second samples and sends it to Azure. The performance data for the VMs starts becoming available in the portal two hours after you have kicked off the discovery. It is strongly recommended to wait for at least a day before creating performance-based assessments to get accurate right-sizing recommendations. If you are looking for instant gratification, you can create assessments with sizing criterion as as on-premises which will not consider the performance data for right-sizing. The one-time discovery method that relied on vCenter Server's statistic settings for performance data collection is now deprecated. Learn how to create a group for assessment. Learn more about how assessments are calculated.